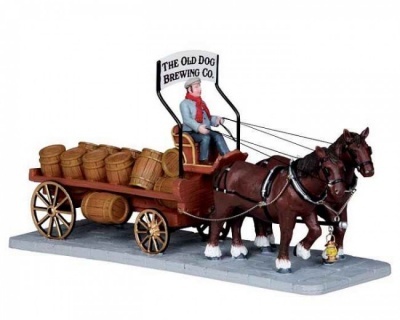 Lemax Brewers Wagon Table Accent depicts a traditional horse drawn ale cart loaded with barrels of beer as a happy gentleman holds the reins to two strong shire horses. Brewers Wagon is a popular Lemax table piece addition suited for placement in a Lemax miniatures display. 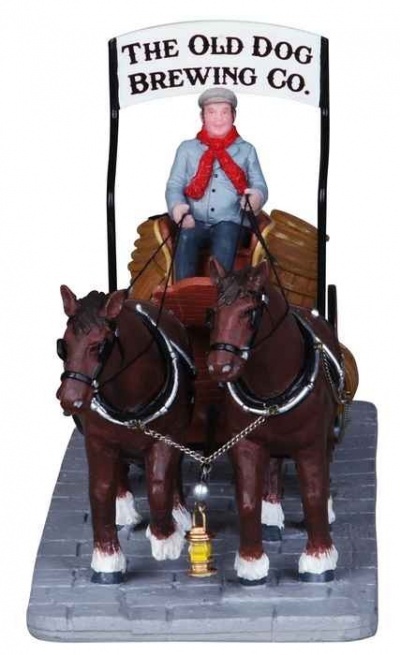 A Caddington Village themed Lemax accessory which joined the collection in 2010. 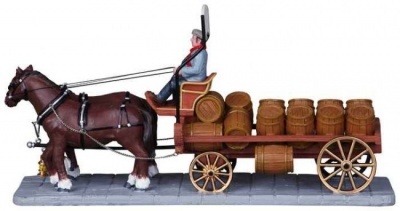 Brewers Wagon comprises a single figurine with horses and cart mounted on a single street scene base to compliment your seasonal Lemax Village display. 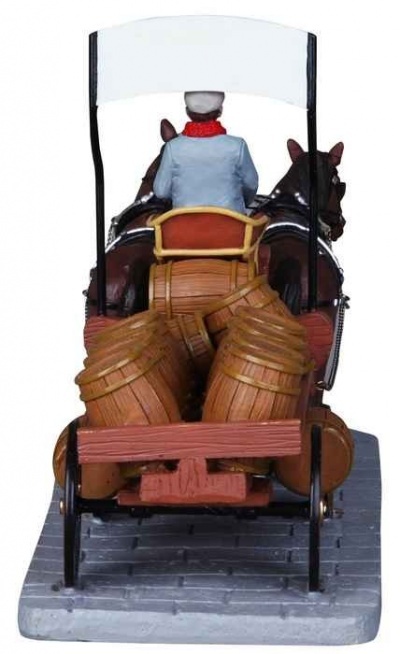 Tuesday, 15 January 2019 | E.A.